The exhibition and event industry is one of moderate upheaval, but recent changes in technology are allowing skilled event contractors to improve attendee engagement. "In 2016 we expect an even greater demand for immersive experiences. Companies are approaching their budgets with a new perspective; where proving instant ROI is no longer the norm and the event experience itself is the brand marketing," Anita Engebretsen, senior global events manager at emc3, told Event Brite. "The event market is about creating lasting memories and achieving a legacy." There are a number of trends on the rise in 2016 that will directly impact experiential events, and those in the industry should take note before their exhibition takes a hit in attendance – because by then it will simply be too late. Attendee engagement is one of the main concerns for many exhibit designers, as designs and installations ultimately influence where spectators turn their attention. The job is consistently becoming easier with the inclusion of technology at events, and wearable technology might just open up the floodgates. The International Association of Exhibitions and Events believes that as technology grows, so will the ability to interact with attendees on a face-to-face level. The experience the trade show provides will ultimately drive the success or failure of an event. While the wearable market tends to only tout the Apple Watch as its mass market appeal item, Google recently filed a patent with the FCC for an augmented-eyeglasses device, Ars Technica reported. Virtual reality is quickly turning heads, and could have a huge impact on how events are handled from an event contracting perspective. Wearable technology will also bring the cost down on the exhibition designer and producer's budget for radio-frequency identification – as the customers will have it already built in, according to George Taylor, founder of Creative Industry Hub. 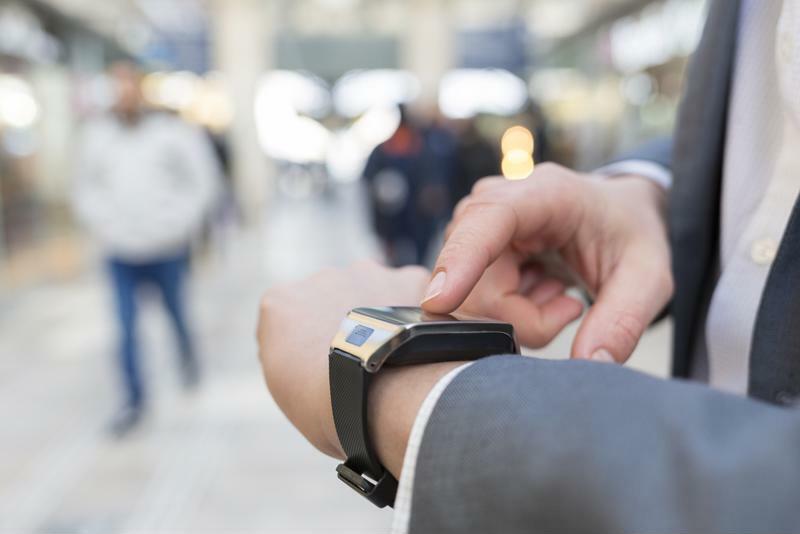 Wearable technology and apps will spike attendee engagement levels in the coming years. Wearable technology is quickly changing the way exhibition producers interact with attendees. As of 2015, Android users have access to 1.6 million apps, while Apple users can download 1.5 million, according to Statista. Mobile apps are quickly becoming intertwined with the daily routine, and they could become a focal point of the exhibition and event industry as early as this year. Logan Gunasingham, creative director at REZTron, believes that Periscope, an app that allows a person to live stream an event, could have a huge impact on the industry. It has the power to drive engagement with those who aren't able to attend. Social media apps like Twitter and Instagram will allow attendees to meet up in real time. Proprietary apps created by leaders in the exhibition and event industry will allow for an all-inclusive brochure and information stand in the palm of someone's hand. We are now in the digital age, where user engagement means everything for companies holding events and exhibitions. Recent advances have made it incredibly easier to connect with people, and it will be interesting to see how this plays into event contractors' plans. Mobile apps, paired with augmented reality objects and other ground-breaking technological innovations, will ultimately shape the experience for attendees at trade shows, expos and events through increased interaction and enhanced knowledge of their surroundings.